I made matching-but-not-matching Christmas presents for my three best friends on tour this year, and all three girls happen to be British so it's very fitting that I'm posting about this from a posh seaside flat in Brighton. Headbands are in this year, at least in my circle, so that's what I decided to make for my friends. 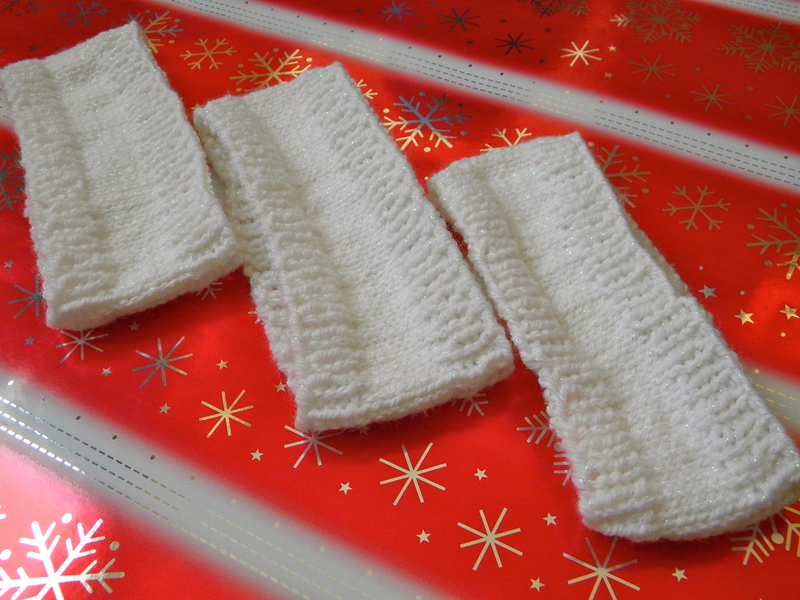 I used the same sparkly white yarn for all three, but I put different accents on each one so they all have their own personalities. And now it's time to personalize them! 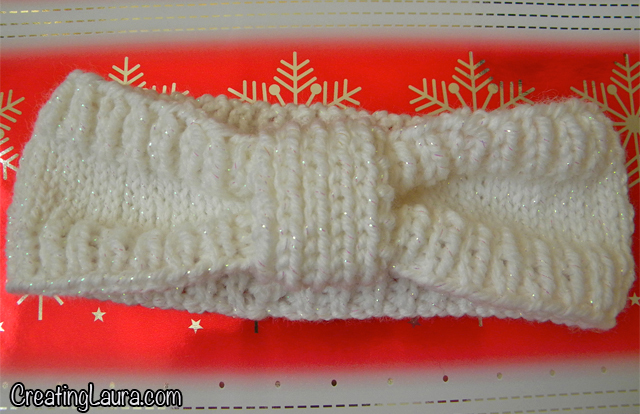 See this post from Lion Brand, and follow the directions for the large bow. 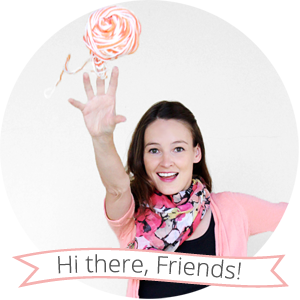 See this post about knitting flowers. 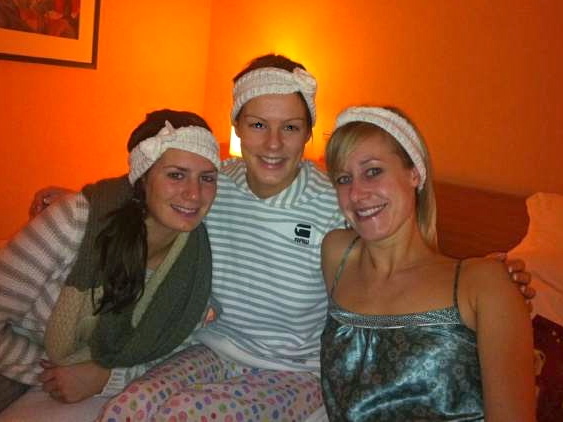 And here are all three of them, wearing their new presents on Christmas day! 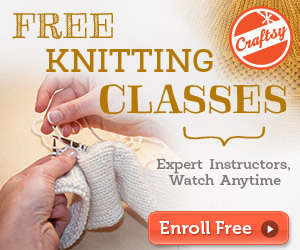 How do you knit front and back in a stitch for the flower? I know how to increase by knitting in front of a stitch but I'm not sure about knitting in back, and is it all in the same stitch? Thank you. I'd like to make this for my granddaughter. Yes, you'll do the increase all within the same stitch. First knit the stitch as normal, then instead of sliding it off of the left needle, bring your right needle through the back of that same stitch again and knit it again. 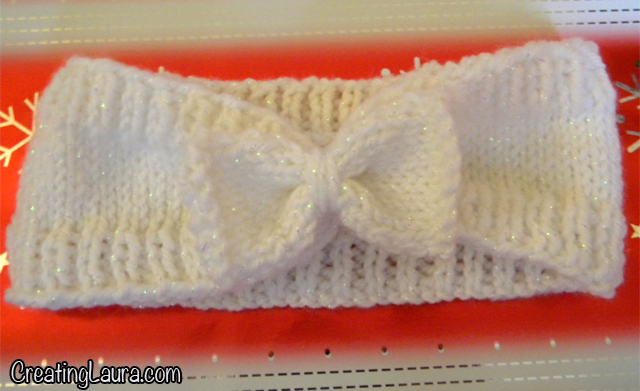 I hope that makes sense, and I hope your granddaughter likes her headband! I am knitting your headband and I just got to the part where it says "KNIT 10 rows". Do you mean stockinette stitch, i.e. knit one row then purl one row? That is what the pattern looks like? these look very sweet. great gifts! did you bind off in rib? Thanks, and yes, I did bind off in rib. 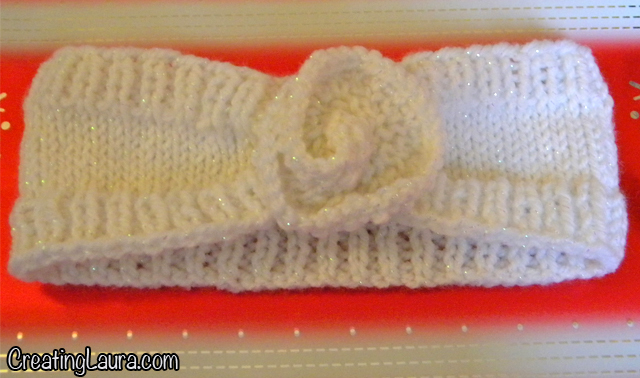 I just finished a scarf for a friend and I want to knit this headband to go along. My yarn is more chunky and I'm having a hard time figuring out how many stitches to cast on to create the pattern you designed. 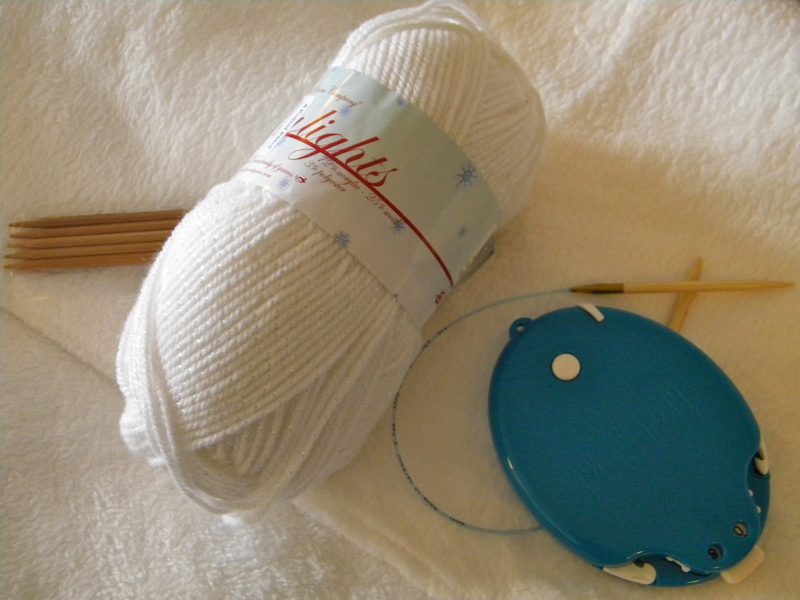 My yarn is 14stitches=4" on US 10. Can you help?